Dr. Ateksha Bhardwaj Khanna is a consultant dentist at Medanta in Gurgaon (Gurugram). She is a consultant dentist who is associated and provides OPD at Medanta in Gurgaon (Gurugram). Dr. Ateksha Bhardwaj Khanna is a consultant dentist with wide and varied clinical experience and expertise in Endodontics, Restorative dentistry, Pediatric Dentistry etc. at Medanta in Gurgaon. Dr. Ateksha Bhardwaj Khanna is a renowned name as consultant dentist who is well versed in managing patients of Gingivitis (Inflammation of the gums), Root canal treatment, Tooth ache, Sensitive tooth, Leucoplakia (white patches in the mouth), Erythroplapia (Red patches in the mouth), Periodontitis, Tooth scaling and root planning surgery, Dental crown lengthening surgery, Dental implants etc. at Medanta in Gurgaon through liver transplantation. Dr. Ateksha Bhardwaj Khanna has completed her BDS from Maulana Azad Institute of Dental College in 2008, ORE from General Dental Council in 2012, MJDF from The Royal College of Surgeon, England in 2013 and M.Sc (Endodontics) from King's College, London University in 2014 to be a consultant dentist. Dr. Ateksha Bhardwaj Khanna is among few dentists at Medanta in Gurgaon who are members of various medical associations of abroad. Dr. Ateksha Bhardwaj Khanna is a member of Joint dental Faculty of the Royal College of Surgeons, England and dental Faculty of the Royal College of Surgeons of Edinburgh, Scotland. 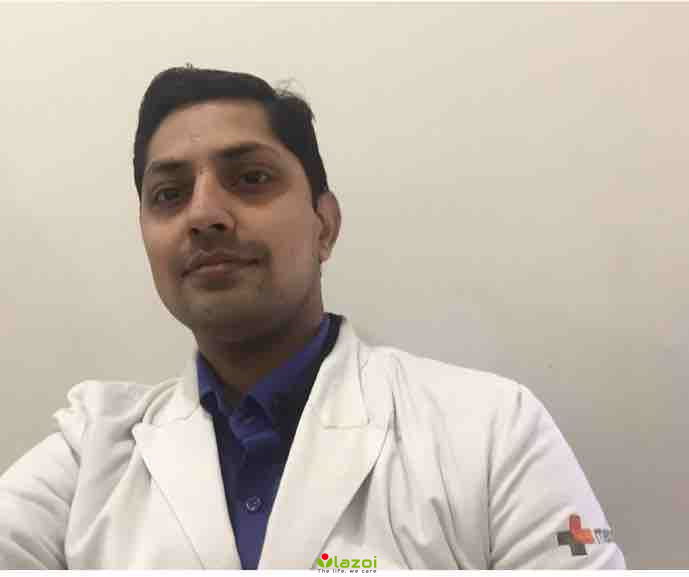 You can book an online appointment with Dr. Ateksha Bhardwaj Khanna on www.Lazoi.com.